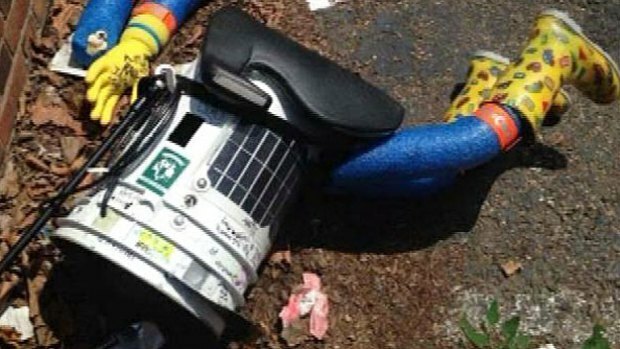 So long, Hitchbot, we hardly knew ye. Google has launched a new way for you to support the sites you use every day—without being subjected to lots of ads. Are you a tech worker who wants to start a co-op? Here’s your guide. A university president becomes an Uber driver, and discovers that his city’s lack of public transit is the major force behind his riders’ needs. At what point do we get to disrupt the advertising industry? Former Guardian editor Charles Arthur points out that we didn’t all sign up to get tracked by advertisers on our phones, every time we click on an article. Anil Dash and Gina Trapani’s ThinkUp has a new site up today—it’s makerba.se, for tracking the things that people make online, and what tools they use to make them. I don’t think I yet understand how cool this will be, but I know it’s cool. “It is a wonderful thing that machines can do our monotonous chores.” Yup. Until they automate all the jobs you’ve ever had. A factory in China has just launched with a workforce of more robots than humans. Let’s replace our fear of “Made in China” with a fear of “Made by Robots.” Except for egg sandwiches. I’m okay with those being made by robots, especially if they wash out the pan. Silicon Ventures’ Nick Grossman, on some of the companies that are starting to try to solve the problems of the on-demand economy. Peers CEO Shelby Clark also weighs in on the need to figure out a way for on-demand economy workers to have security. Cathy O’Neill takes on the real reasons we have a trucker shortage in the US. Hint—the solution is not to allow 18 year-olds to start driving long-haul routes. The thorny world of salary transparency in Silicon Valley. Next Next post: What’s “The Union of the Future” going to look like?